As I had mentioned in my previous blog post, I have been working on writing a small e-book on the establishment of Bharosa, which is a support center for women and children in Hyderabad, India. 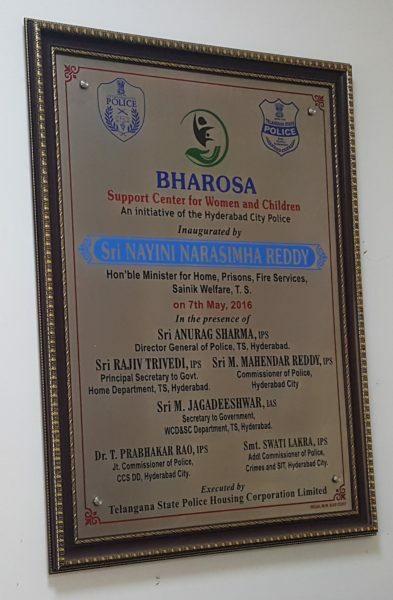 More specifically, it’s an e-book on the commitment of Dr. Mamatha (the founder of an NGO named Tharuni) in ensuring that Bharosa is set up to effectively help victims of abuse. This was placed in the entrance of Bharosa. The child counseling room in Bharosa is decorated so that it is kid-friendly. So, how did I get involved with writing this e-book? When I travelled to India to learn about child labor trafficking during winter break, I spoke with Dr. Mamatha, who had been working on child rights for decades. Even though I had talked with her for less than two hours, I learned a lot about the different forms of child labor and child labor from a legal standpoint. After publishing my article on child labor trafficking, I wanted to continue to learn more about child rights issues. So, I emailed Dr. Mamatha, asking her if it is possible for me to volunteer for Tharuni from abroad. That was when she mentioned that she was planning on writing this e-book, and that she would like my help; I was so excited to hear back from her because not only would I be working with someone who has helped thousands of women and children, but I would also be helping through writing, which is something that I want to continue to do. These are some of the awards that are showcased in the office of Tharuni. 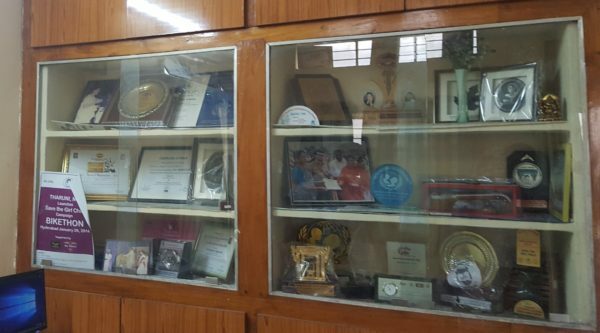 Dr. Mamatha received these awards for her work on women and child rights. Once we decided that I will be writing the e-book, Dr. Mamatha began sending me documents, notes, and audio files on her work on child rights issues and Bharosa. Before she became involved with Bharosa, Dr. Mamatha was involved with child rights for nearly twenty-five years. She sent me audio files in which she describes some of the stories of child abuse that she had come across through her work during those years. As I was listening to those files, all I could think was that these stories are so horrific that I could not have ever imagined them. I was so moved that I immediately began writing the e-book. Dr. Mamatha gave me complete freedom on how to format the e-book and which content to include; she gave me minimal instructions and restrictions. I decided to write the book in a first person point of view because when I was reading the documents and listening to the audio files, the stories had so much of an impact on me partly because it was clear that she had seen those children and those families suffer. I wanted the readers of this e-book to be as impacted as I was. After spending weeks reading about Bharosa and working on this e-book, we are almost done with the book. I just need to speak with a few people who are also involved with Bharosa to get a more complete picture of the role of Dr. Mamatha on the establishment of Bharosa. This should not take more than a few weeks, but the exact time will depend on when these people are available to speak with me. 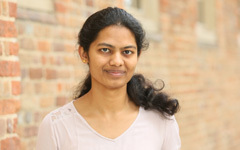 After that, Dr. Mamatha and I will add some pictures, and send it out for editing and publishing. Hopefully, once it’s published, I can put a link on my blog so that if you are interested, you can read some of the stories that I had heard. Recently, Dr. Mamatha and I have started discussing about writing articles on child marriages and possibly on public health issues in India. I definitely want to work on these articles as I finish the e-book. I will keep you updated on any of my future projects related to child rights. Thank you! I am so glad you enjoyed reading it.